Lake Cachuma is is a beautiful lake to fish with lots of largemouth bass and its also a great place to take the family camping. 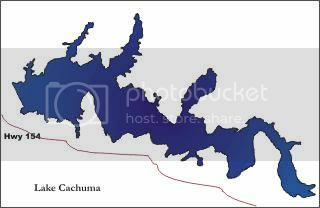 Lake Cachuma holds an average 3,100 surface acre feet of water. Cachuma is open year round 6 a.m. to 10 p.m. with 24 hour camping available at the lake. 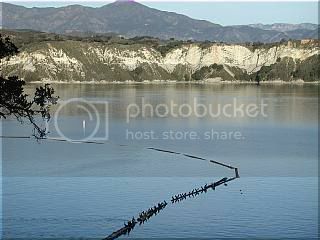 Lake Cachuma is located 115 miles northwest of Los Angeles in the scenic Santa Ynez Valley at an elevation of 650 feet. Boating is permitted, however no water-skiing or body contact with the water. Boat rentals are available at the marina.